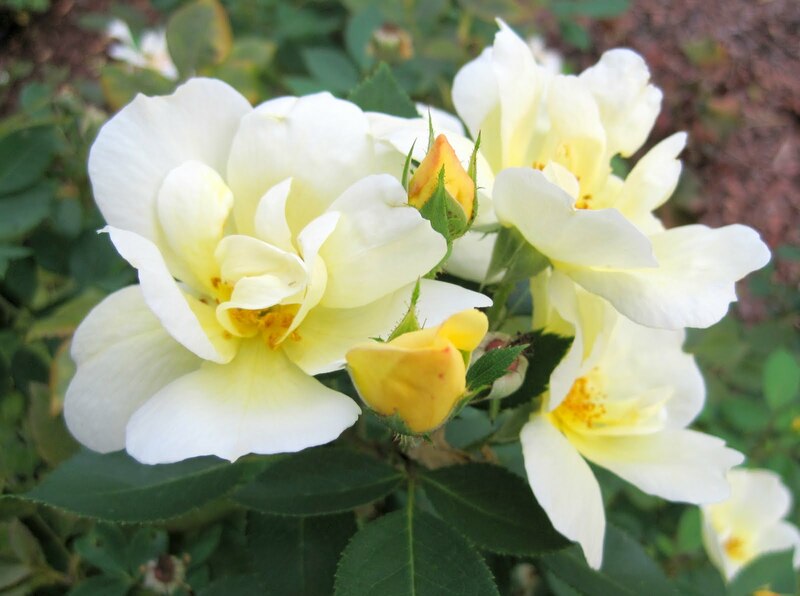 This week, the garden designer sent me a map of the backyard with the provisional names of each garden area noted on it, and a bulleted list of the ideas and suggestions she has for each of these garden areas. I now get to mull over the ideas and send her back comments and questions. The reason she named each area of the garden is so that as we talk through the design, we will know which area we are referring to. I like that she considers the garden names “provisional” because I will likely change them along the way. For example, the garden area she now calls “East Perennial Border” could be renamed something like… well a name doesn’t come to mind right now. But a name will come to me, eventually. I just don’t want to wait too long to rename a garden area and in the meantime get used to calling it something like “East Perennial Border” so that by the time I come up with another name, I have to call it whatever name I come up with followed by “Formerly Known as East Perennial Border” to keep everything straight. At one point in reading through her current list of suggestions, I literally wanted to slap myself upside the head and say out loud, “Now why didn’t I think of that”. As you come into the backyard and round the corner by the sunroom, there will be a garden area under the sunroom window and six or seven feet across the way, there is another garden which is currently referred to as the “West Perennial Border”. You pass between these two garden areas to get to the rest of the garden. The garden designer suggested using the same plants in each area so it seems like you are walking through one garden versus walking through two disconnected gardens. What a concept. It would never have occurred to me. But it is exactly the right thing to do there. She also suggested that I prune up another viburnum, this rather large Viburnum opulus ‘Sterile’ also known by the old-fashioned name “Snowball Bush”. I peaked under all those branches to see what was under there and saw that it is going to require some major pruning with the reciprocating saw, loppers, hand pruners, the “whole nine yards” as they say. It’s a mess of suckers and shoots and branches. Should I do it? It is, after all, hiding the compost tumbler in the vegetable garden behind there somewhere. But I had so much fun pruning up another viburnum that she suggested I prune and loved how it turned out that I think I’ll give it a go… just as soon as it isn’t so hot and humid out there. Love reading about your garden designer and garden saga. It would be so nice to have someone to help guide one along the path of garden life sometimes! I just bought 6 new plants and bring them home to sit impatiently in their pots while I figure out just where they should go! Names for beds are important. I'm sure you will come up with more imaginative ones than I have, which are completely descriptive of what they are -- "Hosta Dell", "Rain Garden", "Rock Garden", etc. However, I agree that "East Perennial Border" is just a little dry and scholarly. But clear. Crystal clear. I have been enjoying your garden designer series, although in my secret heart there is a strong streak of envy that you HAVE a designer. . . As I approach my latest project it occurs to me that if I had the money a "real" designer could probably be an asset for something of such magnitude. I blame Gardening Gone Wild and Saxon Holt for my latest flight of fancy, but you bear some of the responsibility because the development of your garden has changed things so much for the better that it made me start looking at my front yard with an even more jaundiced eye than usual. The patio evolution was one of the most stunning changes you have reported on so far, and it is amazing how great that looks now that it is finished. Anyway, enjoy! And don't worry about us jealous fiends. Your garden redesign is so exciting. 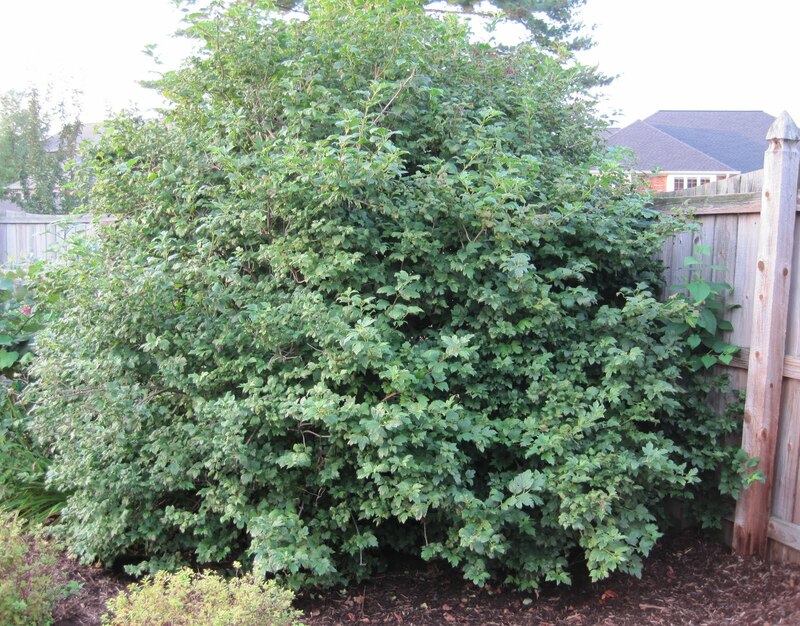 How will you hide your compost bin etc if you prune up your viburnum? That would be my only draw back from limbing this one up. The other one did turn out good. Glad to see the process moving along. Does your designer pick and place the specific plants in the plan, or is it more of, "here's what we're going to put somewhere in this bed"? You could name the area you were just talking about the Sunroom Garden or the Entry Garden. I know it lacks imagination. I'm visually creative, not verbally. Prune the Viburnum. Your designer will come up with some creative way to screen the compost. Is so funny read about your garden :) ... I would like a garden designer to me! You really know how to keep us on the edge of our seats, Carol! Giving us dribs and drabs at a go. I guess it is easier for us to digest it that way. You are so wise. I like the matching plantings idea, that is going to look spectacular! I usually like to limb up large shrubs, but am unsure about the snowball. Maybe not too drastic? Pruning up your viburnum will give you a nice place for some underplantings, besides. But definitely wait until it's cooler! Surely this heat has to break some time. I struggled with the idea of using a garden designer as cheating. But I realized that it's good to see your garden thru fresh eyes.